Stream anime episodes online for free, Watch One piece Episode 99 English version online and free episodes. 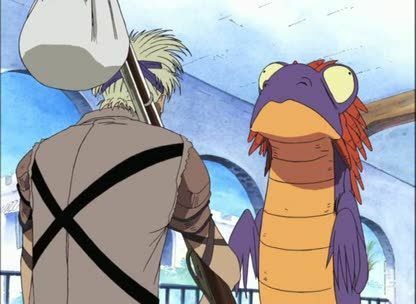 Anime Episode guide One piece Episode 99 English dubbed Tough Bluff After hearing that a small village has fake Rebel Army bodyguards that have been keeping peace, Vivi asks the men of the crew to test if they’re worthy of staying. While they initially are planning to run at the first sign of a real threat, they stand their ground, and are allowed to stay as the Straw Hats retreat.